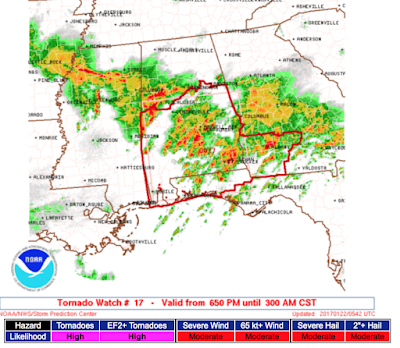 The NWS particularly dangerous situation tornado watch continues until 3am. But, note there are no storms to the west of the watch and the storms in the watch itself have been weakening the last two hours. 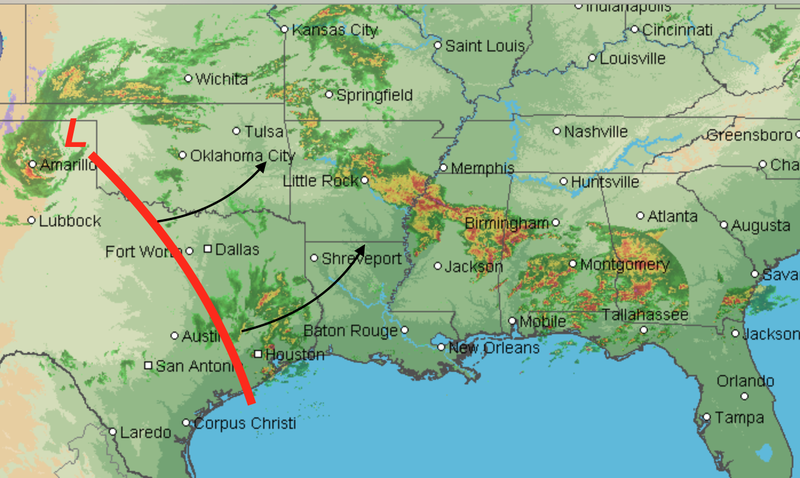 The low pressure system over the northeast Texas Panhandle (above) and the trough extending to near Houston are behind schedule. The low was supposed to have been over south central Oklahoma by now. 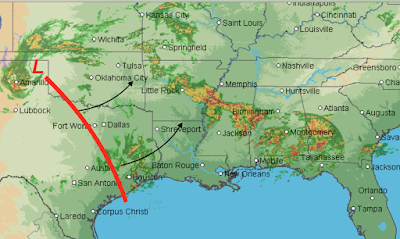 The trough is strong enough to trigger showers and thunderstorms over southeast Texas but hasn't made it far enough east to trigger strong/tornadic storms over Louisiana or Mississippi. I believe storms will redevelop in that area after about 2-3am. However, it has been another long day, so this is my last post of the night. I still advice keeping up on the weather if you live in the tornado watch.